The term New Atheists emerged after the horror of 9/11, and was applied to a group of campaigners: Richard Dawkins, Daniel Dennett, Christopher Hitchens and Sam Harris but it had an unfortunate connotation, idea that secular, atheist values are new, transitory and opportunistic. 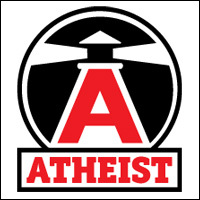 Atheism has a formidable intellectual and philosophical pedigree but the reason for its reemergence was the unprecedented terrorist attack on the US mainland by al qaeda and more recently the savagery enacted by ISIL. If we needed a reminder of how dangerous religion could be, this was it. We are now confronted with a religiously driven ideology that is hell bent on our destruction. Unlike previous conflicts this time we are not at war with a State but with an idea, Islamism, and that idea has become franchised out to all corners of the globe. None of us are safe until this grotesque dogma is undermined from within by fellow Muslims. The great irony of 9/11 was that rather than subduing the ambitions of the other religions that might have been expected to keep their heads down, it emboldened them. Even the normally docile Sikhs tried to stop the performance of a play they considered disrespectful to their beliefs. More recently we have witnessed the grotesque spectacle of Catholic Church’s failure to acknowledge the gross abuse of young people in their charge and the ridiculous spectacle of Archbishop of Canterbury advancing the cause of Sharia law. In his book and TV series Richard Dawkins led the charge, to assert reason over superstition. He saw not only the threat from Islam and religion in general but of society slipping back into a world of unreason, particularly in the USA where the growing belief in creationism was and still is a worrying phenomenon. 9/11 was the wake-up call to all us rationalists who had been slumbering. We now have a fantastic opportunity to drag at least part of the world into the 21 century. We must drive an agenda that makes people think about religion and god and encourage atheists to come out of the closet and agnostics to jump off the fence. Let’s hope that in a hundred years time these last few years will be seen as a watershed that reignited the ideas embodied in the Enlightenment.